Bright Grahame Murray is pleased to announce the acquisition of two well-established specialist service charge audit firms, Hodgson Hickie and N Lewis & Co. Together with Bright Grahame Murray’s existing portfolio of service charge clients, these two latest acquisitions will practice under the new name, BGM Lewis Hickie Limited. The combined businesses will be based in Bright Grahame Murray’s new offices in Kensington, London, SW7. Bright Grahame Murray is a medium-sized firm of Chartered Accountants based in Kensington, London, SW7. Founded in 1934, the firm provides a wide range of services to a diverse and sophisticated client base. Clients range from small start-ups to multinational public companies and from charities to commodity dealers. 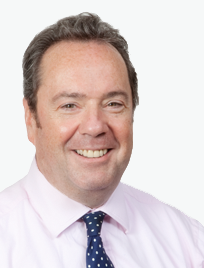 Bright Grahame Murray also acts for many non-corporate clients including proprietors of small businesses, partnerships, limited liability partnerships, pension schemes, trusts and high-net-worth individuals. Bright Grahame Murray’s clients benefit from a strong partner led approach. The firm provides all clients with a Client Service Partner, who co-ordinates all the services on offer, ensuring that they make the most of the opportunities available to them.